One of the most charismatic business personalities in Sri Lanka, and an influential name in corporate and social circles, Deshabandu Tilak de Zoysa is no stranger to the upper echelons of power. Having occupied apex positions in an exhaustive list of the nation’s leading companies and industry associations, his contribution to enrich the country’s corporate sphere is unquestionable. Yet, he unhesitatingly cites his chairmanship of HelpAge Sri Lanka and HelpAge International as being his most prized achievements. It gave him great joy to be involved in building a HelpAge hospital and creating a nurturing environment for senior citizens. During his tenure as Chairman of HelpAge International, the organisation was awarded the world’s greatest humanitarian prize. And to this day, de Zoysa serves the cause as a Global Ambassador for HelpAge International. 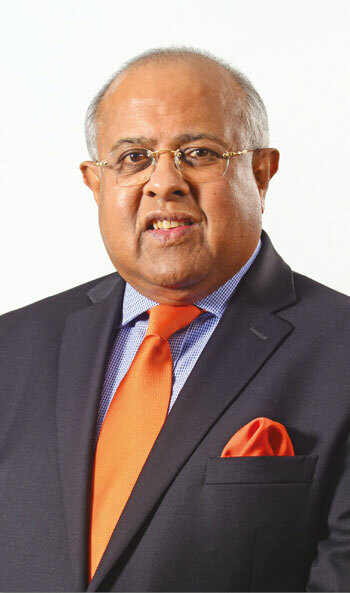 Demonstrating a strong sense of emotional intelligence, his mastery of soft skills doesn’t take away from many colossal achievements as Chairman of Associated Motorways (AMW), and a past chairman of the Ceylon Chamber of Commerce and National Chamber of Commerce of Sri Lanka. De Zoysa is also the Chairman of Carson Cumberbatch and several other listed and unlisted companies, in addition to which he serves on the boards of many international corporates. 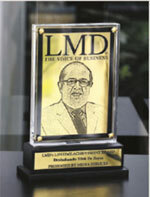 His selection as a Member of the Monetary Board of Sri Lanka (2003-2009) represented a coveted non-political appointment accorded to a corporate personality with an unblemished reputation. In addition, he’s served as the Honorary Consul for Croatia since 1999. But despite the considerable power he wields and his close connections with the political hierarchy, Tilak de Zoysa remains a humble person who is easily accessible and exudes a friendly charm that is perhaps without equal in today’s cutthroat world of business. After completing his O-Levels, de Zoysa joined an engineering startup before changing course to enter the plantations industry. He rose to be appointed Chairman of the Maskeliya Multipurpose Co-operative Society and President of the Maskeliya Planters Club – a difficult balance to achieve as it called for an advanced set of skills especially in the management of estate labour. Returning to the corporate fold, he commenced work at AMW, which was then a family business. He rose through the ranks with dynamism, culminating in his appointment as AMW’s chairman. During his stewardship, de Zoysa negotiated a joint venture with CEAT (India), and brought global brands such as Maruti Suzuki, Yamaha, Goodyear, BP/Castrol, Piaggio and Renault to Sri Lanka. He counts Nepal’s billionaire Binod Chaudhary as his partner in CG Corp Global – Sri Lanka, which has ventured into the island’s luxury hospitality business. De Zoysa is seemingly blessed with the proverbial Midas touch because the businesses he has headed have grown in equity and prominence. And in every sector, he’s headed associations where he leveraged his connections with the political establishment to resolve challenges faced by industries and businesses alike. A unique gift is his ability to maintain strong relationships with politicians and bureaucrats across party affiliations, chiefly because he hasn’t been beholden to anyone and owes his success to no one. De Zoysa attributes his success to hard work, determination and discipline. Peers such as Mahen Dayananda speak of ‘the black book’ he carries, which details his thoughts, ideas and appointments that are painstakingly recorded by him alone. They also marvel at his ability to charm people and brilliant people management skills, along with a commitment to hard work, perseverance and the desire to give back to society. He is passionate about his role in the Kalutara Bodhi Trust because it has a direct impact through philanthropy to transform lives. And he looks forward to making an impact in his new role as Chairman of the Young Men’s Buddhist Association. De Zoysa is a devout Buddhist but prides himself on his multi-religious family. If he bows to anyone, it’s to his wife Sunila – the ‘Minister of Home Affairs,’ as he calls her – for managing the home front, his children and grandchildren. The tide of time shows no signs of slowing him down. On the contrary, de Zoysa is hard at work on new projects, having recently launched two Board of Investment (BOI) factories – one for manufacturing polyurethane foam padding for the apparel industry and another for producing steel fasteners for export to the US. He follows a punishing daily schedule, rising at 5.30 a.m. – and confesses that otherwise, there just would not be enough hours in the day for all that he aspires to achieve. In 2005, de Zoysa was conferred the title ‘Deshabandu’ by the President of Sri Lanka in recognition of his services to the country. He is also a recipient of ‘The Order of the Rising Sun. Gold Rays with Neck Ribbon,’ conferred by the Emperor of Japan. Looking ahead, he expresses a hope to see Sri Lanka realise its full potential during his lifetime. Tilak de Zoysa was born on 29 September 1946 into an illustrious family headed by his father V. T. de Zoysa who was a lawyer. One of four brothers, he schooled at Royal College, and holds FCMI (UK) and FPRI (SL) qualifications. He and his wife have three sons, three daughters-in-law and three grandchildren. Weekends are meant for family time spent with children and grandchildren. As the Chairman of the Kalutara Bodhi Trust, he makes frequent trips to the sacred temple, which has been nurtured by his family for generations. Tilak respects Deshamanya Ken Balendra for reaching the pinnacle as a corporate icon, and admires his professional elan and demeanour. He also reveres his uncle Sir Cyril de Zoysa for excelling in everything he undertook, from fostering Buddhism to pursuing his business goals, which culminated in a knighthood. And he credits his parents and Gangaramaya Temple’s Podi Hamuduruwo for being his guiding lights.